See it higher. That’s the message of this glimmering and unique sparkling apophyllite cluster. 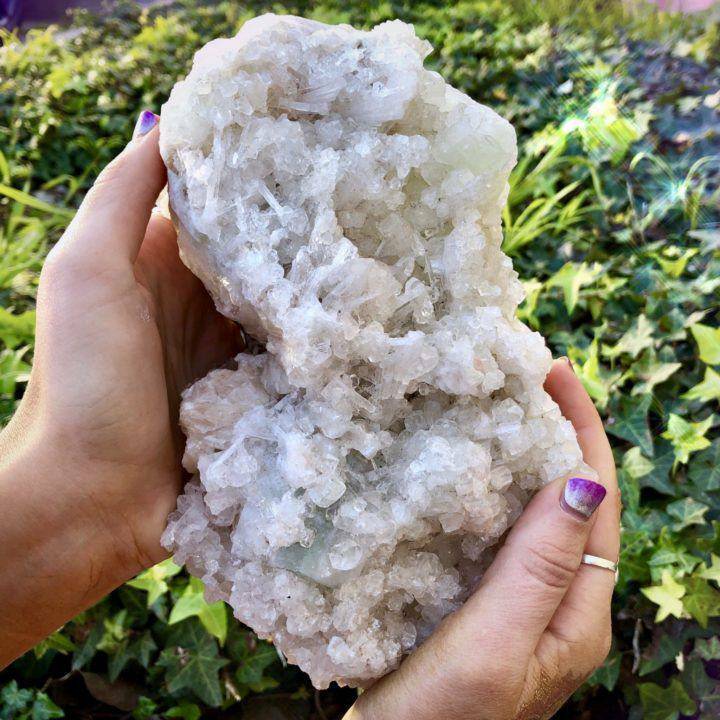 Apophyllite is the stone of coming into present time, and it lifts the veil of darkness in the world to bring light where it is needed, to whom it is needed, for the highest good of all kind. It activates the Crown Chakra, and allows access to other realms, including the fairies! It stimulates collective consciousness and helps you see your role in the much larger cycle of life. Measures 8″. This beautiful Lazulite in matrix opens the Throat Chakra for easy and flowing communication, while promoting positive thoughts, peace, and stability. Measures 4.5".